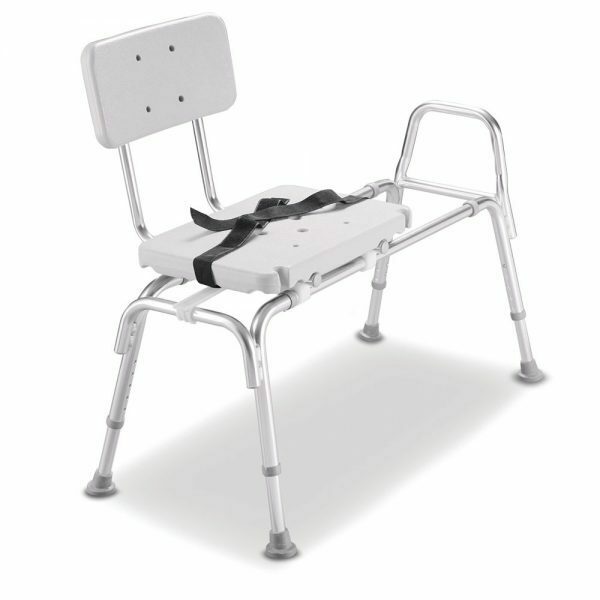 The Sliding Transfer Bench has a sliding fucntion to allow the seat to easily transfer to a bathing position, it also has an anti-slide locking device on both ends of the bench. The frame is made of aluminium and is height adjustable along with a curved backrest for additional support. Furthermore there is a plastic moulded textured top with holes to drain water away from the seating area. For additional security there is a velcro lap belt and an integrated grab rail on either the left or right hand side.